Create a variable called TableName, which will (eventually) hold the name of a table that you want to open. Use InputBox to show a message like this. 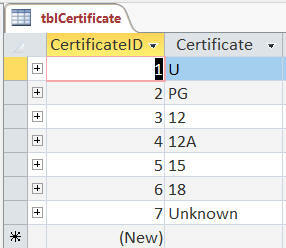 What you'll see, for example, if you type in tblCertificate in the dialog box. Here someone tried a table called tblRubbish. Save and close any modules, tables and queries that you have open.